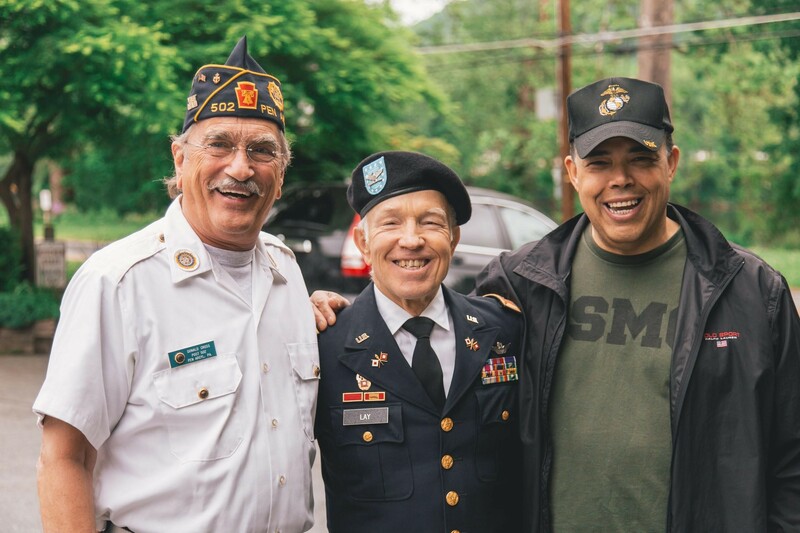 Chances are high that you know a senior veteran in your community, whether they are a family member, friend, or someone you see regularly at your local coffee house. Whatever the level of friendship may be, it is important that you make an effort to reach out. Aging veterans may have a more difficult time taking care of themselves due to mobility issues, disability, or emotional stress. The following are just a few of the many ways you can improve the health and wellness of senior veterans, and show your love and support. The benefits of regular exercise for seniors are plentiful, including increased mobility, balance, joint/bone health, and heart health. However, for senior veterans, it can help ease the symptoms of post-traumatic stress disorder (PTSD), promote self-care, and ease chronic health conditions. A 12-week exercise study called the Warrior Wellness program studied 54 veterans ages 60 and older with PTSD. The Warrior Wellness classes were conducted at the gym with certified instructors. Veterans reported increased health, a dedication to exercise, and camaraderie. Encourage senior veterans to take up exercise, and support like-minded organizations. A great place to start is Fit 4 the Cause, an organization that offers fitness and nutrition programs for low-income individuals, including seniors. In addition, you could invite a senior to join you for a fitness class or start a walking group. For many seniors, one of the hardest parts of getting older is the loss of independence. Seniors may have trouble driving, cooking, cleaning, or performing other everyday tasks we take for granted in our younger years. Check in and offer to help often. For example, to encourage healthy eating and proper nutrition, you could accompany senior veterans on weekly trips to the grocery store or have wholesome meals delivered. Senior veterans are at an increased risk for diabetes, which is often a result of obesity, so helping to provide a healthy meal is one way you can help them fight back. While you are there, make sure dishes aren’t piling up, laundry is done, and medication is being taken appropriately. Seniors often take more than one medication, which puts them at risk of prescription drug abuse, whether it is intentional or accidental. Be aware of the warning signs, which include mood swings, irritability, clumsiness, lowered attention span, and sneaking or hiding medicine. If you are currently in school or looking to make a career change, consider pursuing social work. The field of social work revolves around helping individuals in need. As it pertains to veterans, social workers help them apply for and receive necessary VA benefits, as well as navigate Social Security and other government programs. Keep in mind that most social workers have completed a Master’s of Social Work program, which requires anywhere from 900-1,200 field work hours. This program is offered online through various US universities, and many don’t require you to have a bachelor’s degree in social work. If you are serious about making a career change and dedicating your life to helping others, a social work program is worth checking out. There are several ways you can truly make a difference in the life of a senior veteran, whether it is through volunteering or donating. A great organization to get involved with is Operation Gratitude. This organization sends care packages to veterans, troops, military families, first responders, recent graduates, and wounded heroes and their caregivers. Put together your own care package using this wish list, or organize a collection drive in your workplace, school, or church. You can also contact your local Disabled American Veterans (DAV) chapter and inquire about volunteer opportunities, or visit a nearby VA hospital and spread some cheer. Senior veterans all have one thing in common – strength. They have a story to tell, but they need your help to continue telling it. If you know a senior veteran, encourage them to take care of their health, check in on them often, and find ways to help, such as pursuing a career in social work or simply volunteering. Remember, all it takes is one act of kindness to make a difference.